Is the Gear S’s 3G connection not good enough for you? Maybe it’s too plain and boring? In that case you might want to get your hands on the Gear S Strap, a version of the Gear S smartwatch with a crystal-encrusted strap. If that’s not your thing then maybe a crystal-encrusted Galaxy Note 4 is more your style? Samsung hasn’t specifically mentioned that it’ll be the Galaxy Note 4, just that the “next flagship” will have a crystal-encrusted variant as part of a deal with Swarovski. HTC hasn’t had much luck in the tablet department, and even though it’s rumoured to be working on the new Nexus tablet, they haven’t really focussed on the tablet market recently. But what about phablets? Accoring to @upleaks, HTC is working on a brand new mid-range phablet, the HTC Y5. This week sees the return of IFA, one of the biggest events in the tech calendar, where we will undoubtedly see a massive number of new releases. 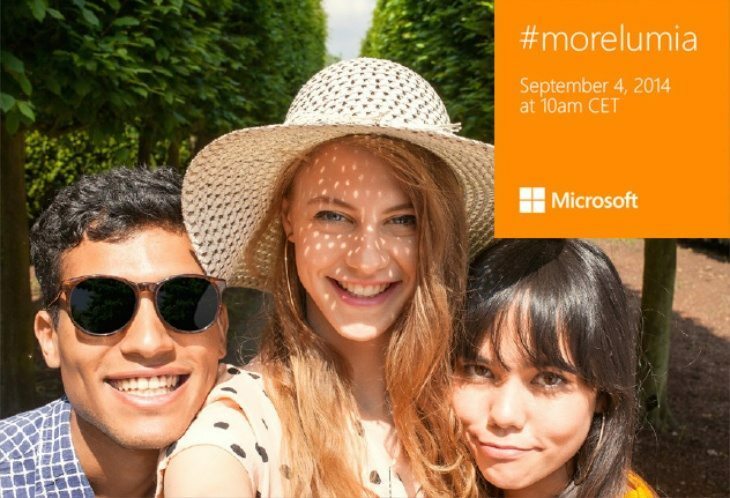 One of these rumoured releases is the Nokia Lumia 730, Microsoft’s so-called “selfie phone”, and Microsoft has released a teaser that definitely seems to be relevant to the phone’s launch.